Audience members often remark that they never know what to expect, but they do know a KSO program will be unique, educational, fun and of high quality. With a range of musical collaborations and innovations over 23 seasons, the KSO has also developed several subsidiary groups to specialize in authentic and nostalgic performances focusing on America’s musical heritage, including: The Flood Wall Jazz Quintet, The Newport Ragtime Band, The Covington Devou-Doo Daddies and The KSO Boogie Band. 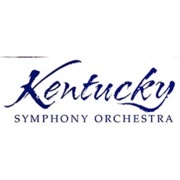 These groups are often featured, along with the Symphony, at the KSO’s traditional free concerts in Covington’s Devou Park, which have brought acts like Over the Rhine, Blessid Union of Souls, Broadway stars and circus acts to the KSO’s Summer series. The CIWF’s support of these programs reach an average of 15,000 area residents each summer. Quality and variety continue to be distinguishing traits of both the KSO and the CIWF.